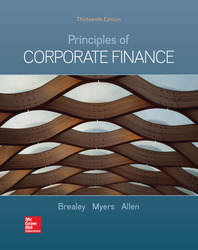 Principles of Corporate Finance describes the theory and practice of corporate finance. Financial managers are shown how to use financial theory to solve practical problems. Includes coverage of the U.S. Tax Cuts and Jobs Act passed in December 2017 in both the text and in Connect. Connect: A reliable, easy-to-use homework and learning management solution that embeds learning science and award-winning adaptive tools to improve student results.